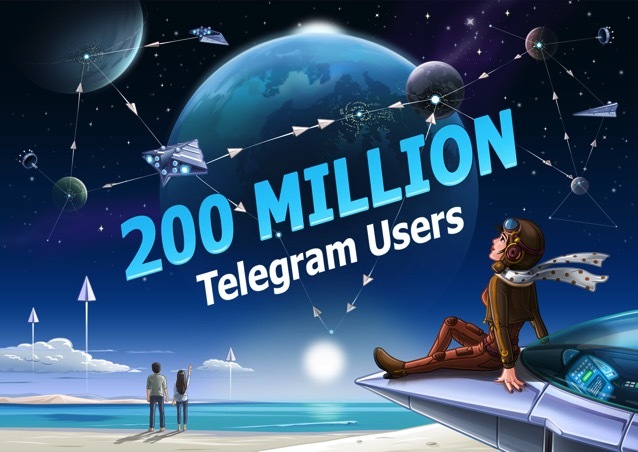 Secure messaging app Telegram, which was launched back in August 2013, has officially hit the 200,000,000 monthly active users mark, less than 2 years after hitting the 100 million users milestone. “We have never promoted Telegram with ads, so all these 200 million people are on Telegram because you invited them to join”, announced Telegram in an official blog entry. Telegram, which was the first messaging app to roll out end-to-end encryption to users, doesn’t have shareholders or advertisers to report to like other popular apps. The app doesn’t deal with marketers, data miners or government agencies. “Since the day we launched in August 2013 we haven’t disclosed a single byte of our users’ private data to third parties”. Over the years, our unconditional trust in people allowed us to do things other apps were hesitant to implement; things such as support for insanely large group chats, unlimited broadcast channels and a free user-generated sticker platform.